Vacation rental house. Sleeps 4, 1 bedroom, 2 bathrooms. No pets allowed. 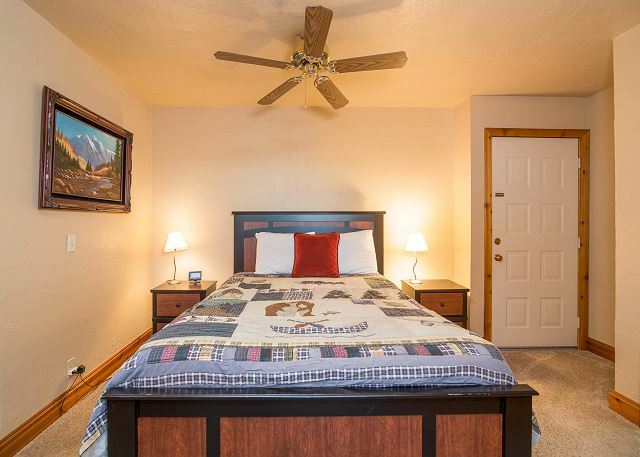 Perfect for a couple, two couples, or a family of four, this one-bedroom home has a queen bed, queen hide-a-bed, and two bathrooms. 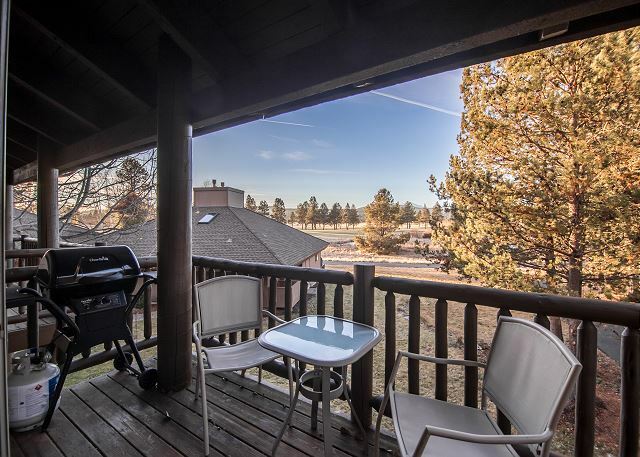 The 958-square-foot condo is close to the Village Mall & Sunriver Lodge. Capture lovely views of a golf course and the Mt. Bachelor Ski Resort. Challenge a fellow traveler to some Wii competition, and do your laundry with the washer and dryer. 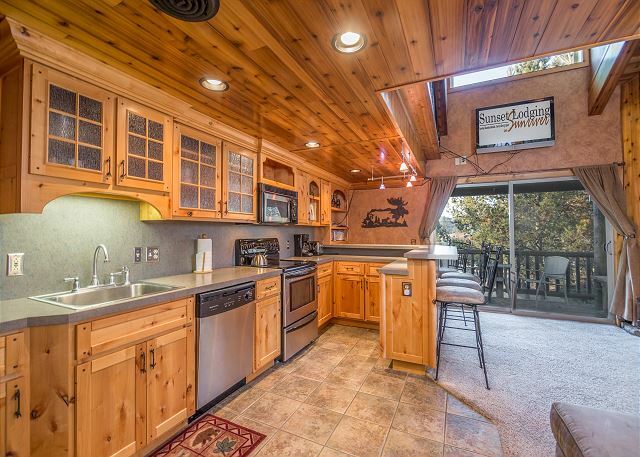 Additional highlights of this home include a TV/VCR/DVD player, CD stereo, fireplace, full kitchen, gas barbecue, and two bikes. Maximize your vacation enjoyment by going sledding, pampering yourself at a spa, and taking your group fly fishing. This home comes with 4 Unlimited use passes to the SHARC facility, free Mt. 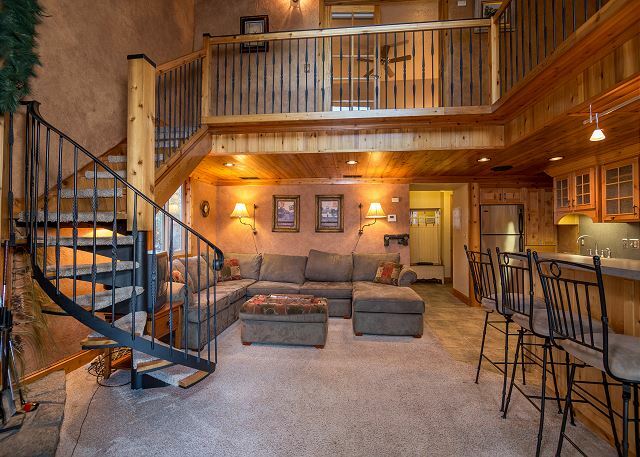 Bachelor ski shuttle, free tennis and free access to the Sunriver Marina. Plus, discounts to local dining, shopping, recreation tours and much more! Great place, bed a little hard for me and the spiral staircase a bit narrow for luggage - but otherwise, really enjoyed by time and the condo was great. The kitchen and bar-b-q were well equipped. Thank You for your review, Suzanne! So glad that you were able to enjoy grilling and found the home well equipped! Come back soon! Had a great stay in Kitty Hawk 9,for the second year in a row. Great location, just a leisurely ten minute walk to the village. Will rent this unit again. Only problem was I did not receive check in or out procedures. When I arrived to check in, the office in the Village was closed. We were saved by a friendly office mate who called a Sunset employee to get the lock box code and keys. Same issue on check out. Got the run around again and day saved by non-Sunset employee. Thanks so much for the review Russell! We are so happy that you enjoyed your stay at Kitty Hawk 9. We were moving our offices during your stay and you must have been going to our old office to check in. We are thankful they were able to help lead you in the right direction. Thanks again, and we hope you visit us in Sunriver again soon! mall. nice view we enjoyed our stay very much. This is awesome, Doris!! We're so glad you enjoyed Kitty Hawk Condo 9! And we hope to have the chance host you in Sunriver again soon. Thanks kindly for sharing your feedback! Everything was nice however the unit could've been cleaner. There was popcorn and raisins on the floor and couch. A light was out in the bathroom. Thank you for this feedback, Megan and sorry about the miss on cleanliness. If this ever happens again during your stay with us, we beg you to call us immediately. We will come to the home and reclean until the home is spotless, which should have been done to begin with, but there are times when the housekeepers miss stuff, and we need to be able to fix it while you are here so you are comfortable (our foremost goal). Please come back soon and thank you for your feedback! Very dated decor that manages to active retro status. Great value for the price and centrally located on the resort, near lodge and spa. I was worried about having no air conditioning, but the ceiling fan in the bedroom worked out just fine, even for mid-August. As someone without a TV at home, it would have been helpful to have some instructions on how to navigate all the remotes and the Wii. Overall a super trip and would book it again. Thank you Russell!! We hope to have the privilege to host you again in Surniver soon! Overall a very pleasant, quality experience. Instructions for check-in/check-out were clear, management company was helpful, property was clean and well-kept, and description was accurate. Only disappointment was 2 bikes provided by property weren't usable - rusty, chain wouldn't stay on, generally in poor condition. We'll take a look at those bikes Steven. And thanks so much for your feedback. We hope to get the chance to host you in Sunriver again soon! Kittyhawk is a great location. On river loop bike path which is beautiful. Spacious 1BR very comfortable! 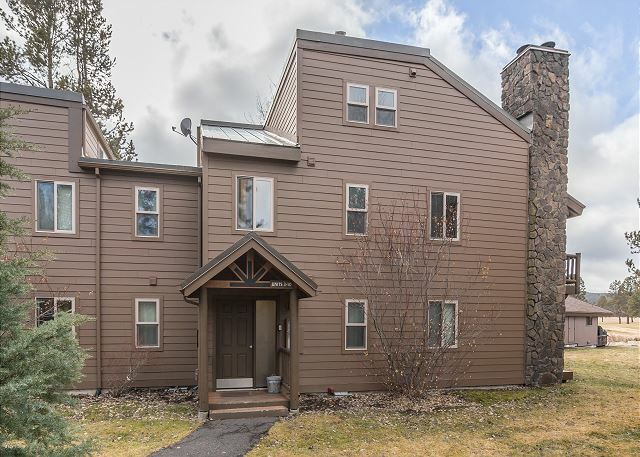 This is a second time I rent condo for skiing in Bend and 3rd time in Sunriver! I had everything I needed. 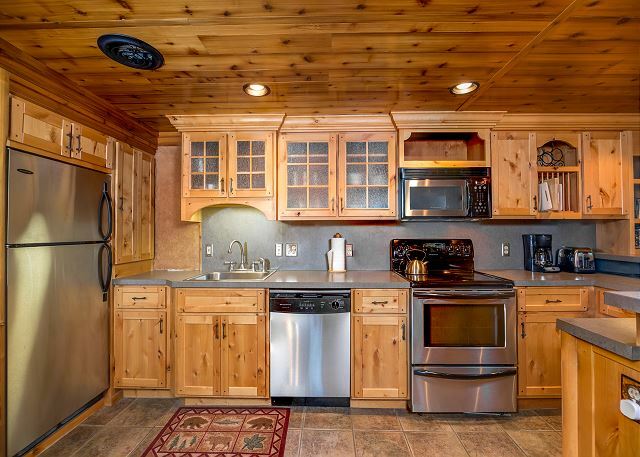 A delightful and cozy unit with a beautiful kitchen with ample work space and many appliances, very well lit. 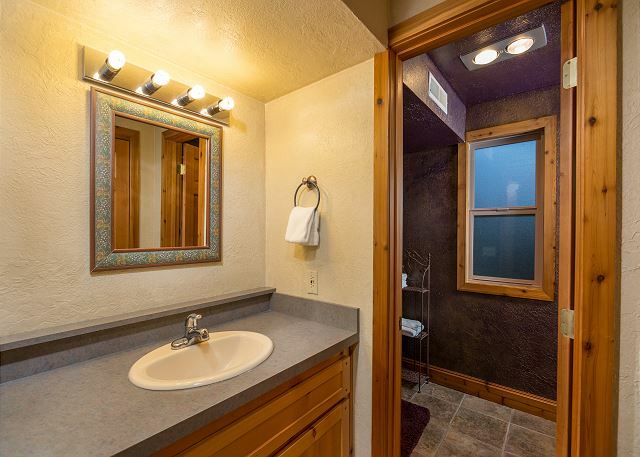 The décor has a real log cabin feel to it. 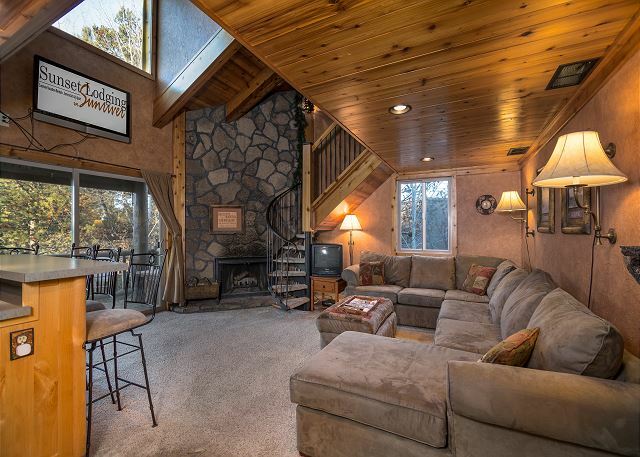 The living area has a comfy couch and fireplace, with a spectacular view of the golf course and mountains. 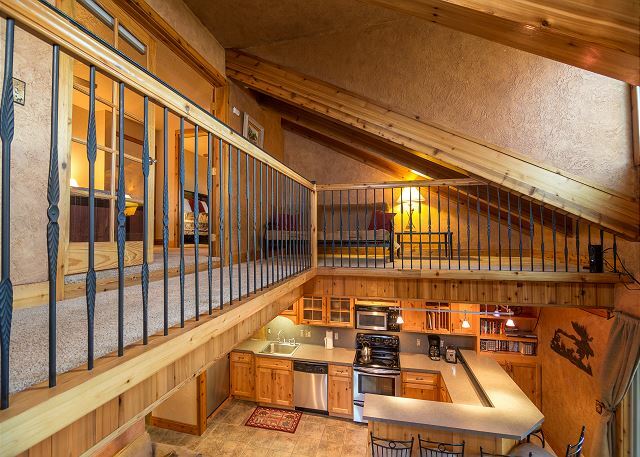 A circular staircase takes you to the bedroom with a full bath, and also a great view of the golf course and meadow. There is some construction going on in the exterior but this did not at all detract from our stay. This unit was an easy walk to the village and accessible to all bike paths. It was clean and very quiet! We enjoyed our stay. Everything was clean and updated. Only one negative and that is the large window in loft area was dirty. I realize it is a difficult window to clean. 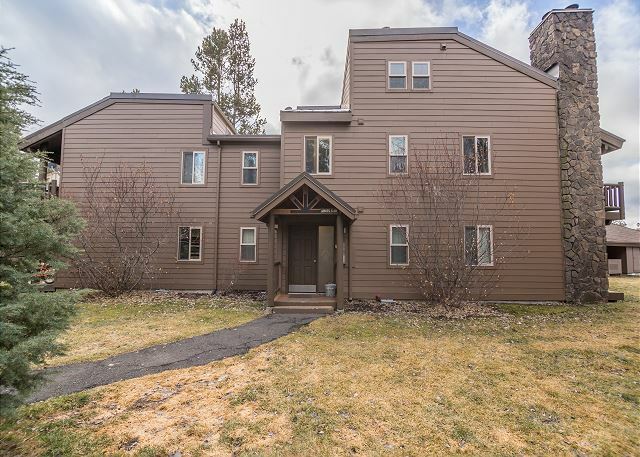 I called looking for a different property that I saw on Craigslist and Christa helped me locate this unit across from the golf course at a great price for a last minute trip. Very impressed with the help at Sunset and very happy with this unit, which had a lodge feel to it with the vaulted ceilings. Looking out at the sun setting over Mt. Bachelor was beautiful as well. Thank you, Ted! Krista is definitely one of our ALLSTARS! And Kitty Hawk 9 is definitely a favorite among our guests, so it's fantastic that we were able to host you there at the last minute (stars aligned!) Please hurry back, Sunriver beckons. Pros: Pleasant place to stay. Location was great. Really beautiful little unit. Great Kitchen! Great View! Walking paths close by. Awesome that you can see the TV from the upstairs and down~! Cons: Said there was a Nintendo Wii. Couldn't find it anywhere. Was a little disappointed about it not having it's own entrance. You have to walk in a public entrance, go upstairs, and your front door is in the hallway on the 2nd floor. I was clearly trying to avoid that when I was speaking with the rental person. But maybe there was an error in our communication. You will enjoy this spot! We particularly like the location of this condo. Great view. Well supplied and clean. This is the 3rd time we've stayed in this particular unit, so it's apparent that we like it. Thank You for your review of Kitty Hawk #9. I am so happy your stay with us here at Sunset Lodging was pleasant. We look forward to seeing you again in the future. Enjoyed a perfect last minute trip for a family of three. Great location. Clean. Staff was helpful. Cute and nicely decorated. Worth it!! Thank you for your compliments about this home! 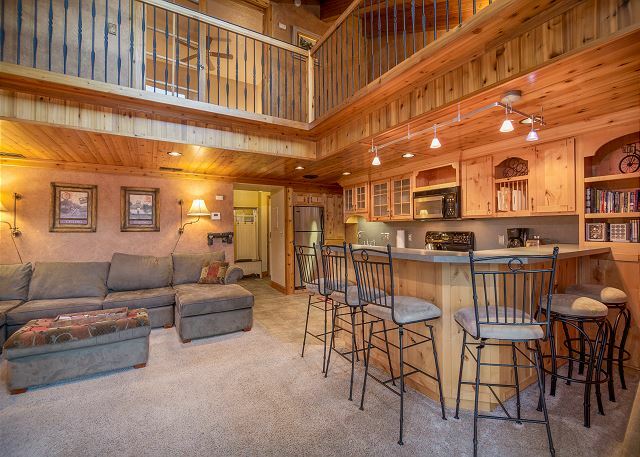 We enjoy the Kitty Hawk condos and #9 is a place we would stay again. The kitchen upgrade is very nice, although it could use more utensils, but we made do. The TV mounted high above the slider makes viewing a bit awkward and hard on the neck. Condo was in good shape overall, but the squeaking floors in the bedroom was annoying. The cruiser bikes are great for exploring the miles of paths and the views from the deck are the best of all Kitty Hawks! 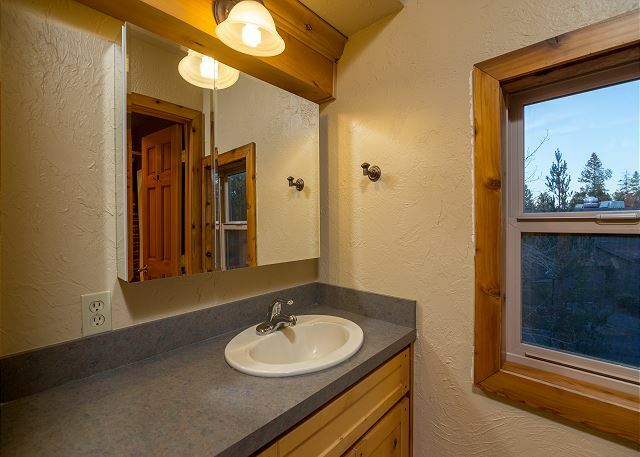 We also appreciate the quietness of our surroundings and the walking distance proximity to the Village. My family and I love Sunriver and we have been coming there for the past seven years. Out of these we stayed in Kitty Hawk #9 five times. The cleanliness of the unit improved, there were nice updates to the unit, so overall it is a great place to stay. Some downsides: we used to get free tickets to SHARC (swimming center) for all four of us for the entire length of stay. Now it is only four passes for the first day of stay, then $13 per pass per person, so if you love SHARC you are looking at substantial cost increases. Also, SHARC passes cannot be used for the morning swim anymore :( Hopefully, property management company can make a better deal with SHARC next year. We are glad you enjoyed your stay. We do know what kind of cost this has added to guests trip. We are doing our best to give you the best possible deal. Thanks for your understanding. 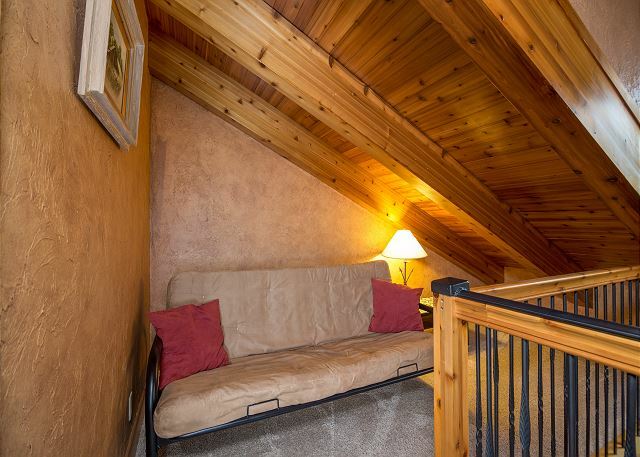 Beautifully decorated, comfortable condo. The only drawback was its second floor location. It was surprisingly easy to get reservation, check in and check out. I only wish we could find extra bedding , looked all over the place and got only pillows and blankets but no sheets. We typically don't leave extra sheets in the home, next time you visit please feel free to call the front desk and make a request. Hope to see you back soon!